This is suitable for filling the capsules in sizes 000#,00#,0#,1#,2#,3#,4#,5# and safety capsule. 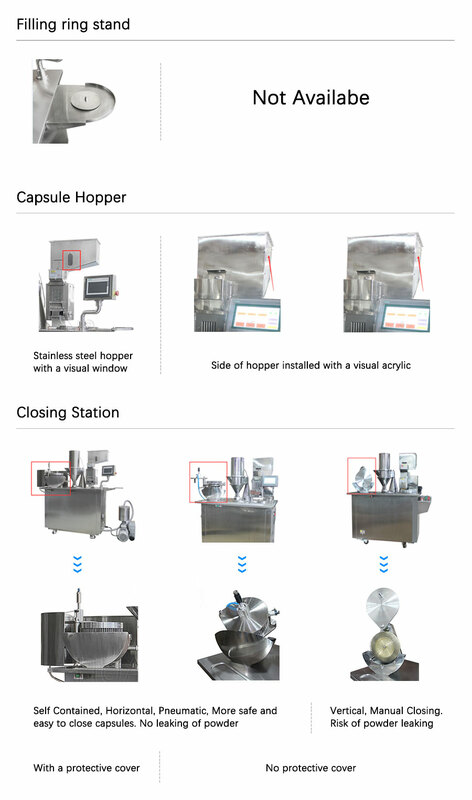 It is equipped with electric and air control devices and an automatic counting device, and can automatically complete the whole filling process in sequence from positioning empty capsules to separating empty capsules to filling capsules to locking filled capsules. 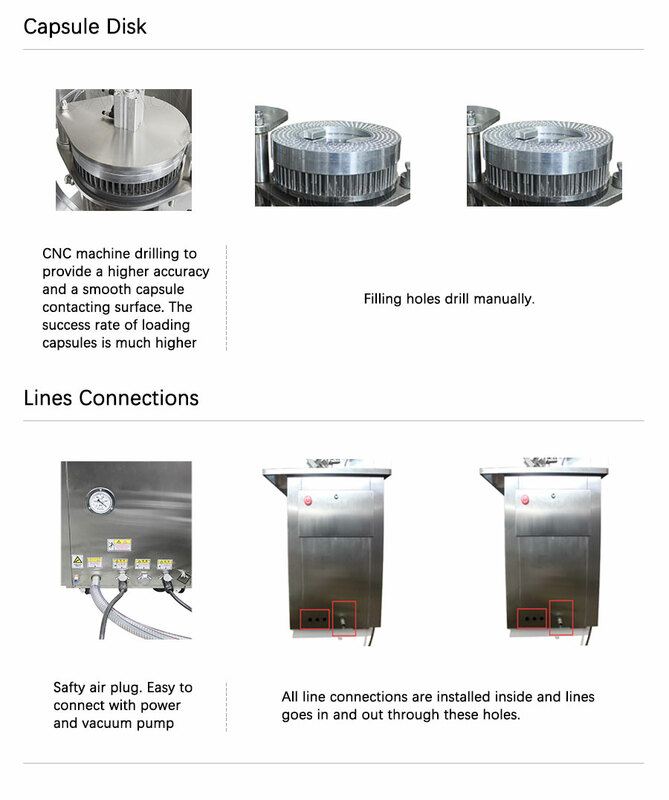 The filling amount can be adjusted by the number of rotations of the dosing disk. The powder feeder also has an auger to regulate the powder filling. 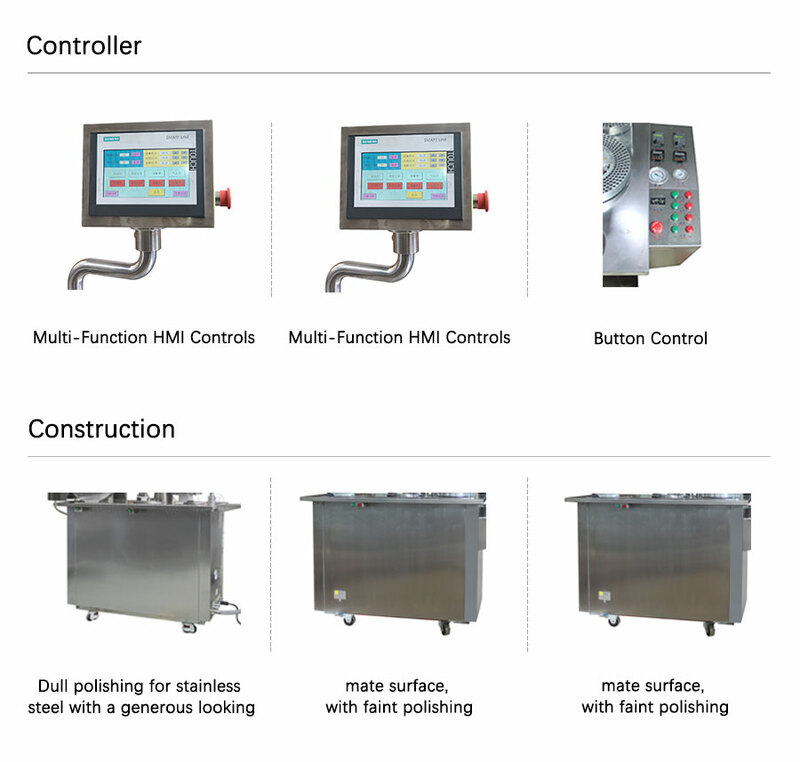 This improvement results in faster production, meeting cGMP requirements, more accurate filling, safer operation, simple maintenance, super low noise, easy cleaning and less labor intensive. Only one operator is required, and operating training can be done in 10 minutes. 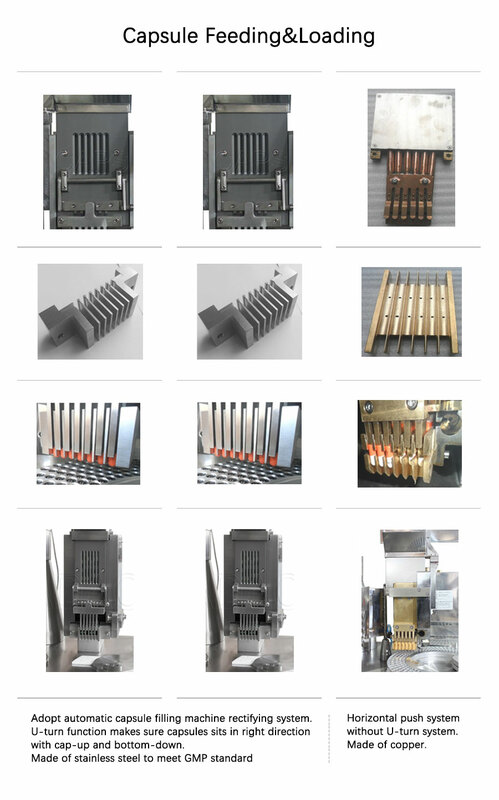 A special design allows for changing parts for different size capsules within 30 minutes easily, simply, and precisely. It has an infinitely variable speed of filling table with independent power and fixed filling that results in accurate dosage. Can be applied to fill various character powder, such as non-freeflow powder, static flour, sticky fibroid material.